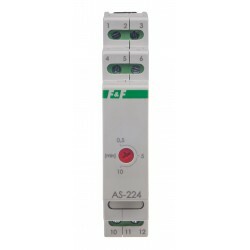 With anti-blocking function. 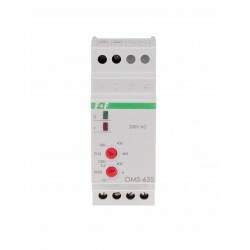 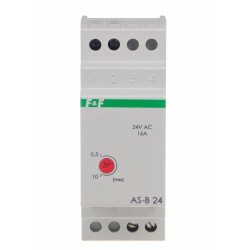 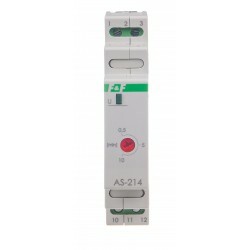 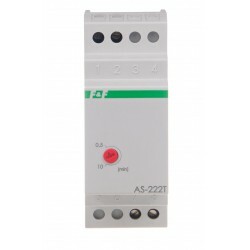 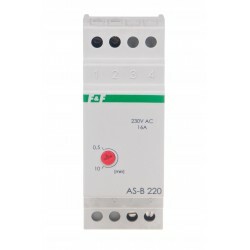 Supply 24 V AC. 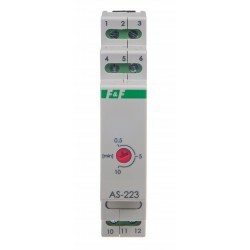 To substrate. 16 A.
Counter-blockade function does not allow for continuous illumination lighting, after blocking the switch, (eg by using the match). 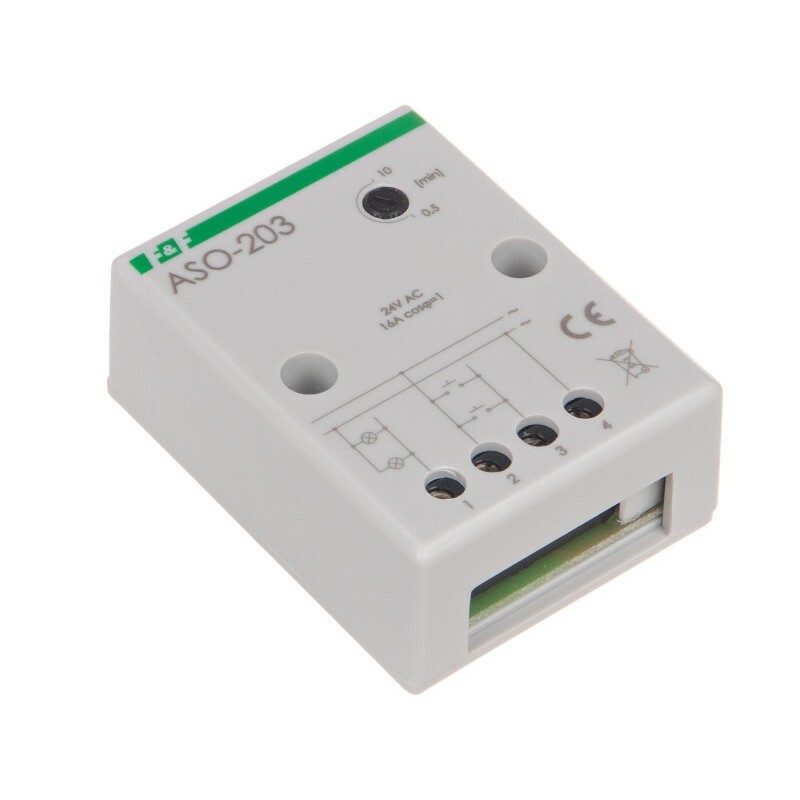 Appliance will measure the desired time and turns off the lighting. 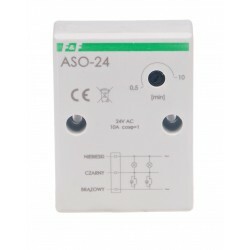 Re-attach the lighting can be made after the removal of the lock. 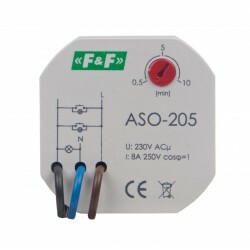 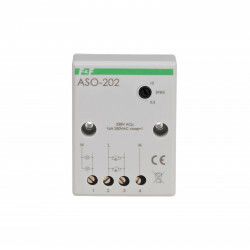 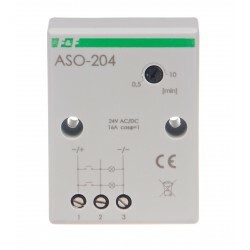 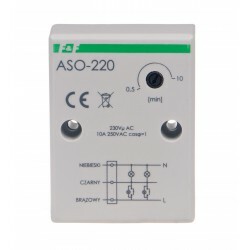 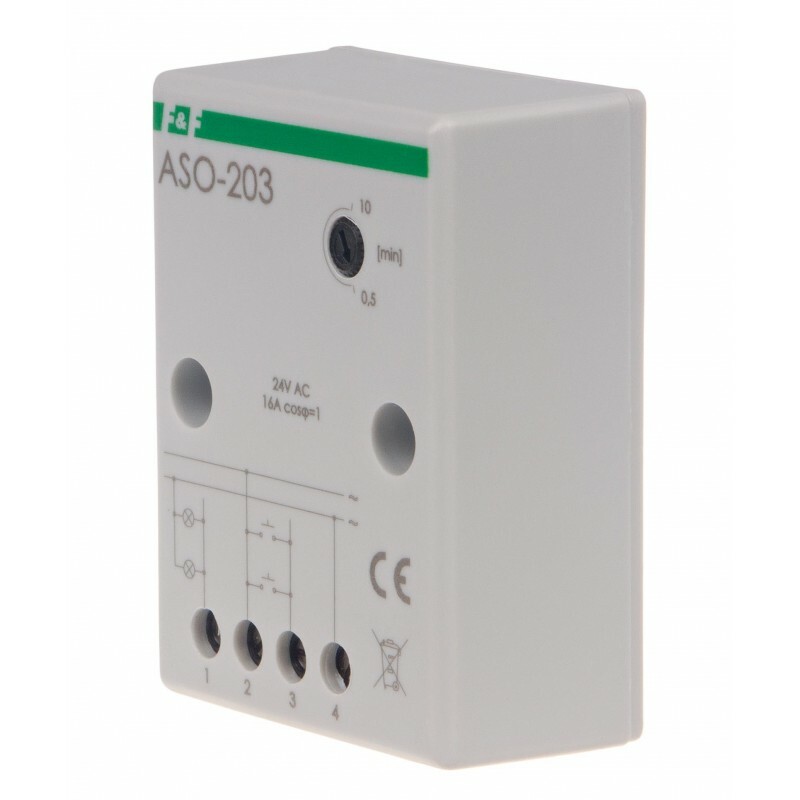 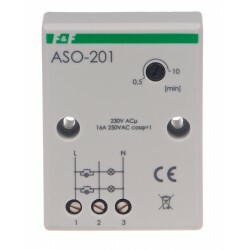 ASO-202 is adapted to co-operate with pushbuttons equipped with neon lamp. 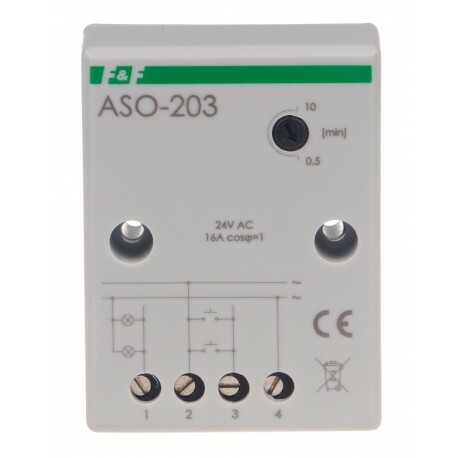 ASO-203 is not compatible with pushbuttons equipped with neon lamp. 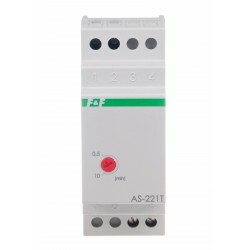 There is possibility of a special implementation of automatic voltage zmierzchowych other than those indicated in the table of technical data, such as 12 V, 24 V, 48 V and 110 V AC/DC and others.